Sun is the most dreadful and scary thing during the summers, we are all afraid we cant deny. But can we avoid it? Not really, so what we can do is protect ourselves from its extreme grip. 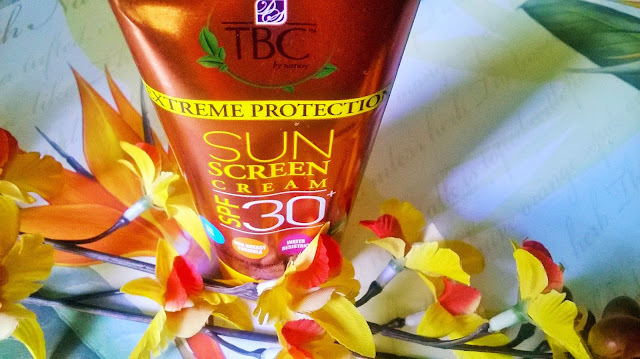 For that we have to use sun care products, and today I will be talking about the new TBC by Nature Extreme Protection Sun Screen Cream. Gentle enough for sensitive skins, this product is water and sweat-resistant, oil-free, non-acnegenic, and dermatologist tested. Packaging: TBC by Nature Extreme Protection Sun Screen Cream comes in a very jazzy packaging of Yellow and brown tube. 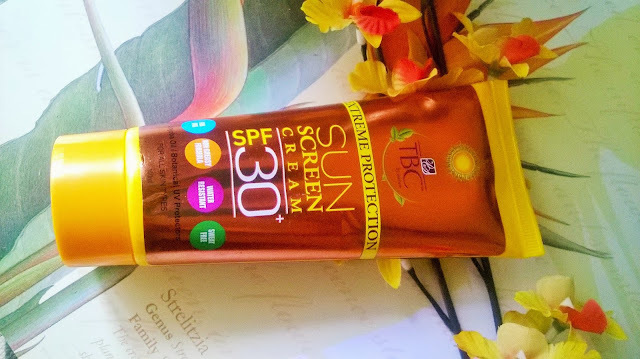 Product: The sunscreen is off-white in colour with a light texture and a very nice floral smell. 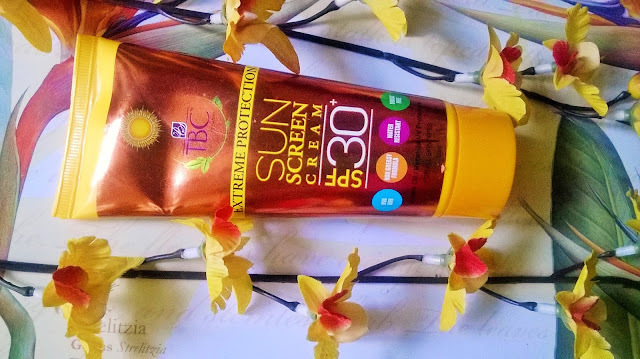 My Experience: TBC by Nature Extreme Protection Sun Screen Cream is a water proof sunscreen and that makes it the most interesting. 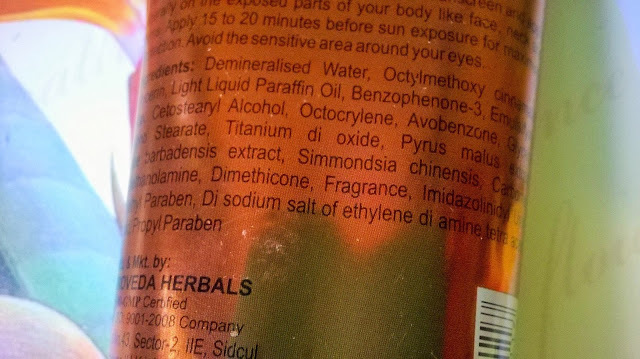 I like the light texture of the sunscreen. It is not emollient and takes some time to get absorb into the skin. But it does not make you feel greasy or make you sweat. The fragrance is very nice. I really like the sunscreen. 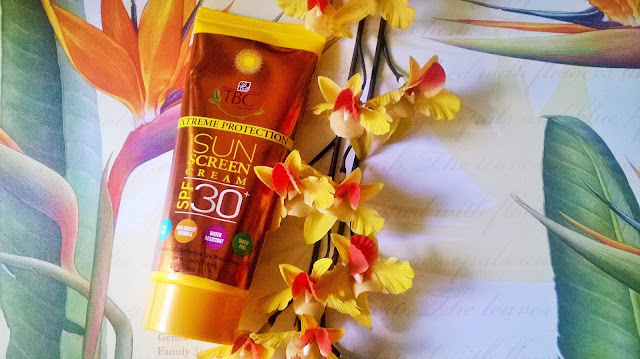 Its very good to use while you go for swimming or on a humid day. It is water-absorbent and creates a layer of protection on the face. It may appear somewhat grayish on certain skin tone. 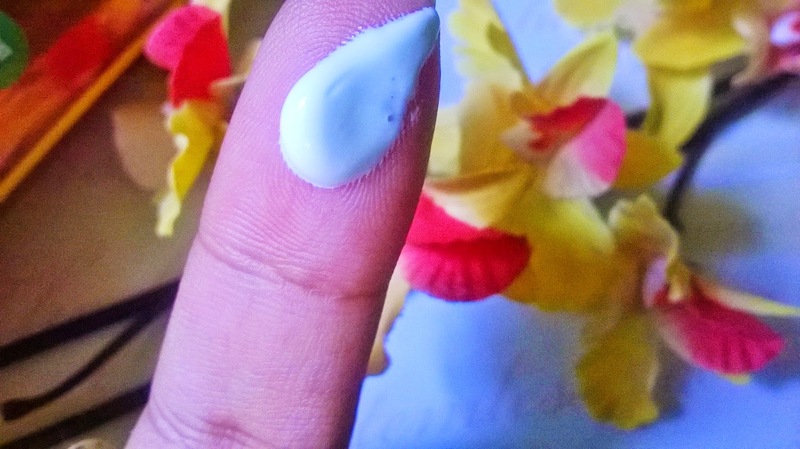 It is not moisturizing for dry skin and can only be applied over a moisturizer. But what it does is gives ultimate protection from the sun. 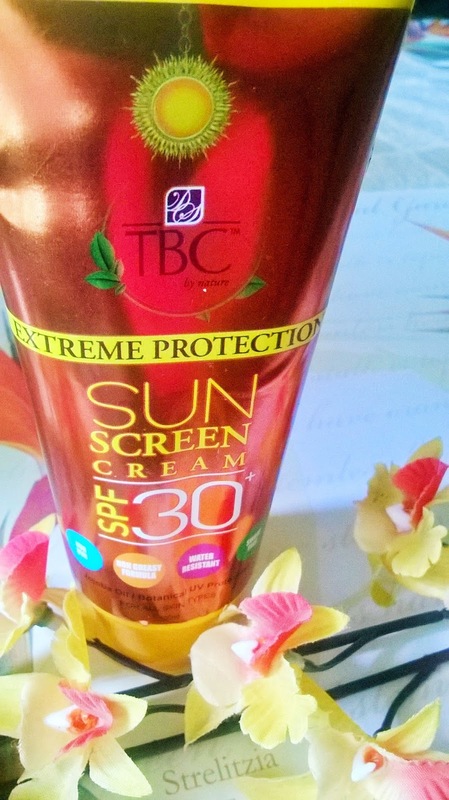 TBC by Nature Extreme Protection Sun Screen Cream is a very good waterproof and sweatproof sunscreen with SPF 30. I would strongly recommend it to people with extremely oily and sweaty skin. 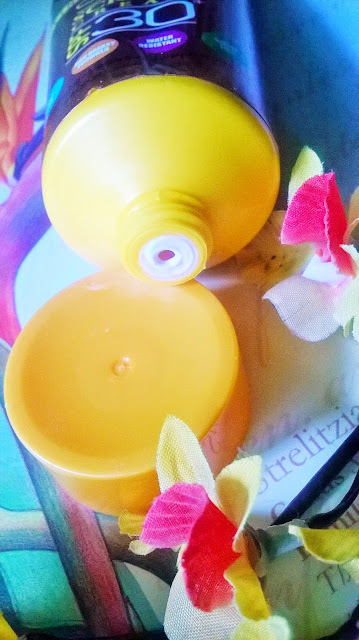 If you have dry skin you may use it on top of your regular moisturizer.